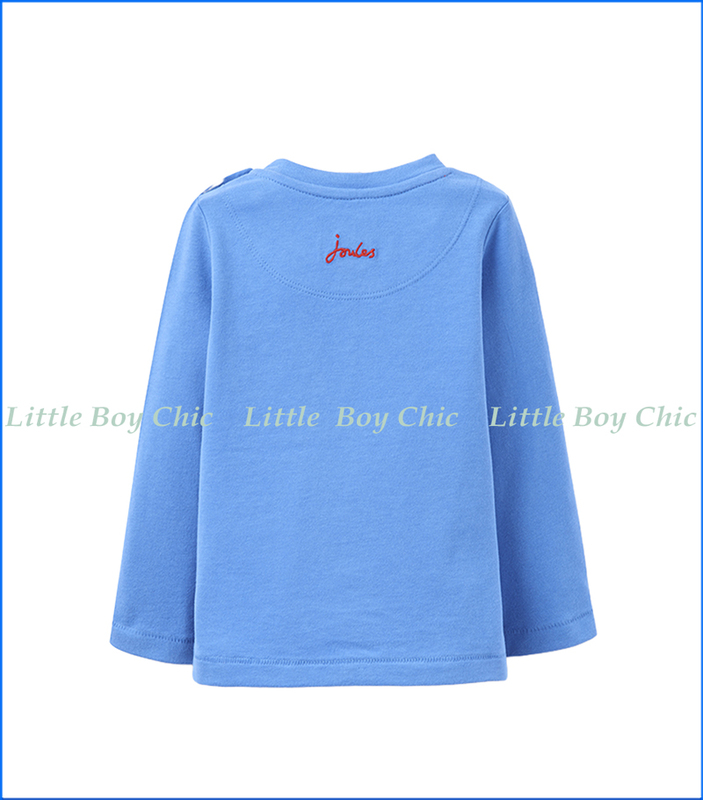 We're sure that this tee by Joules will be his favorite in no time. 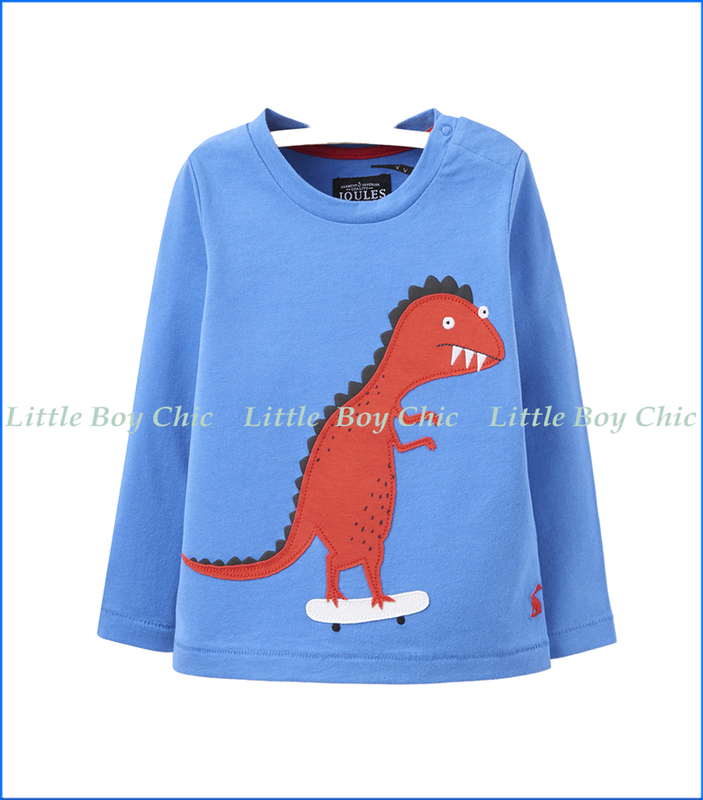 Novelty tactile 3-D dinosaur scales across a full sleeve gives him something to continually explore with his eyes and hands. Long sleeves for added warmth and coverage. Soft hand feel. Woven brand signature on back.